Tata Motors ambitious project in the Tata Nano had a positive effect and a vision which said that every motorcycle owner can now upgrade to a 4 wheeler and one which is known across the world. First there was the news that an uproar has occurred in West Bengal regarding the erection of the plant. 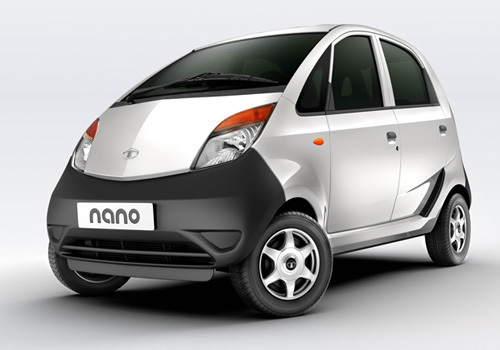 Tata Motors had to subsequently shift base to Sanand in Gujarat and only then could the work on the Tata Nano begin. There was such a hype over the car and with international journalists praising it in galores, it was supposed to be a runaway success. The initial phase of production and selling was met with moderate success due to the limited number of cars been made and Tata Motors adamancy about not giving the car off the shelf. However once the Sanand plant as well as the one in Maharashtra were fully organized, the cars were been provided off the shelf albeit in phases across some states. Sales figure in July 2010 for the Tata Nano were pegged at 9300 units. Subsequently though, Tata Nano sales declined through August, September and October with number of units been moved off shelfs , pegged at 8103, 5520 and 3065 respectively. November month recorded dismal figures at only 509 cars been dispatched to their new owners homes. The reason for all this downfall is estimated to be the recent safety issues over the car burning incidents and also inadequate distribution network. It is also claimed that the Tata Nano doesn’t give the fuel efficiency as claimed by the company and even a regular Tata Indica would give the same average. Recent voluntary recall by Tata Motors to fit a heat guard over the silencers and to fit fuses for the same also may have marred the sales figures. Tata Motors are taking serious heed of this issues and are looking to put out ad campaigns for the Tata Nano and also informing people that the cars are very safe and have been tested for the same across millions of miles.